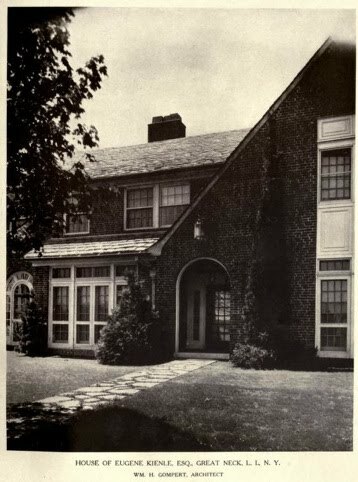 'Many Gables', the Eugene S. Kienle Sr. estate designed by William H. Gompert c. 1921 in Kings Point. 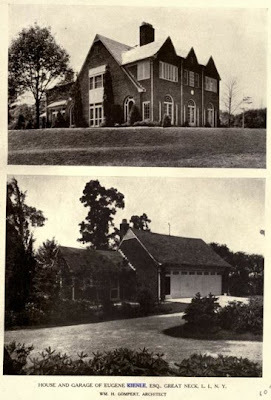 Kienle was the founder and president of Kienle & Co., a printing business based in Brooklyn. Click HERE to see 'Many Gables' on google earth and HERE to see the brochure from when 'Many Gables' was for sale. 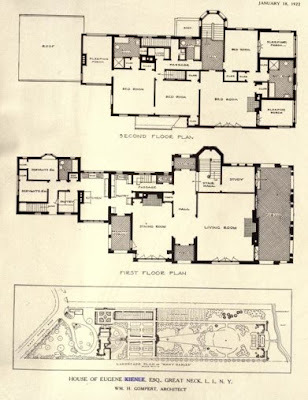 Pictures courtesy of American Architect & Architecture, 1922. Vaguely Lutyens, yes? Those aggressive gables are pretty wonderful. The western portion especially so. 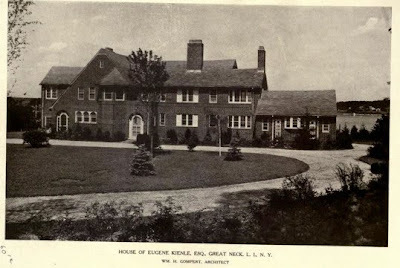 How about calling it "not so many gables" or calling the one next door "many dormers". this doesn't even have as many gables as that one in mass. maybe they could erect a giant pic of clark gable in the front yard - that would give them one more gable. ah - the good ones go and the bland ones stay.